Summit DD believes there is greatness in all of us. We know you do too! That’s why we compiled these stories of greatness for a Special Edition of informDD – in honor of March Developmental Awareness Month. We hope these stories inspire you to set some new goals of your own! Winter is certainly upon us. We’ve seen our fair share of cold weather already, so we included hints of summer activities in this issue to help warm you up. 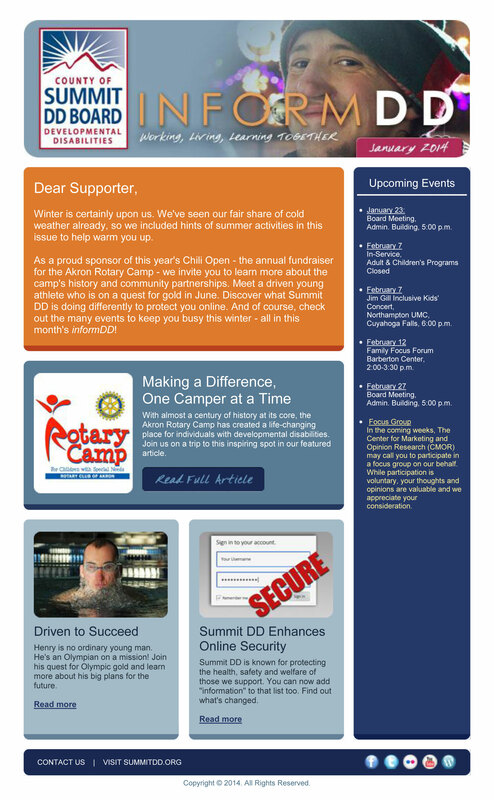 As a proud sponsor of this year’s Chili Open – the annual fundraiser for the Akron Rotary Camp – we invite you to learn more about the camp’s history and community partnerships. Meet a driven young athlete who is on a quest for gold in June. Discover what Summit DD is doing differently to protect you online. 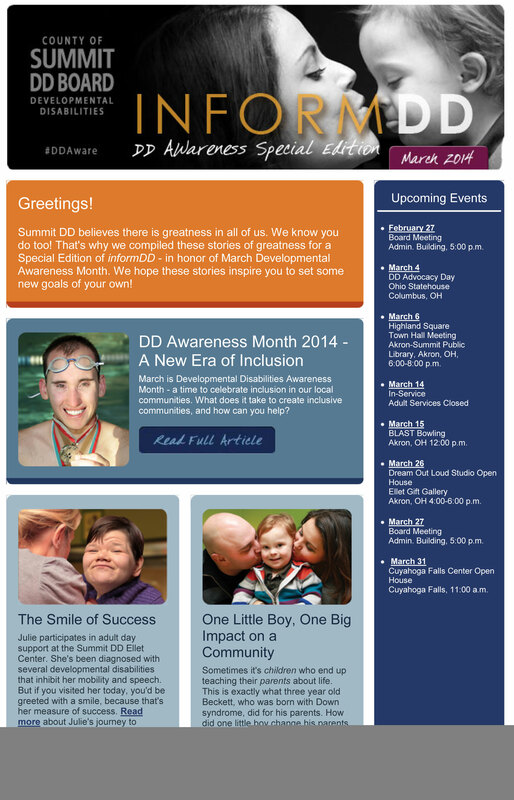 And of course, check out the many events to keep you busy this winter – all in this month’s informDD! The holidays are quickly approaching! Before we know it, it’ll be a new year – time for looking ahead! We have many exciting things coming up, but there’s no need to wait until next year. 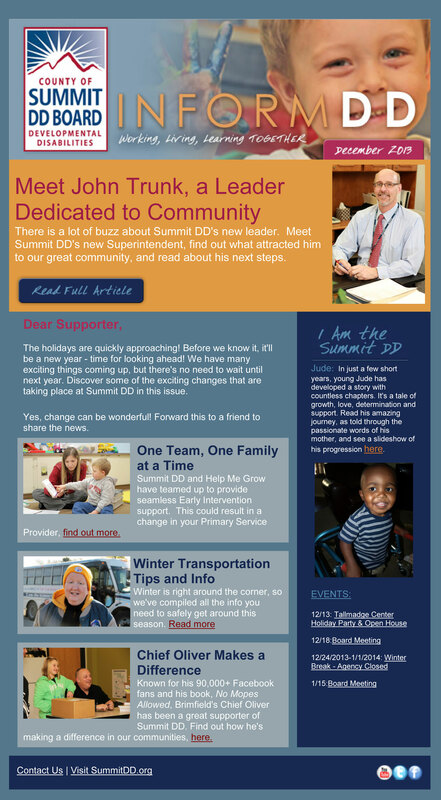 Discover some of the exciting changes that are taking place at Summit DD in this issue. Yes, change can be wonderful! Forward this to a friend to share the news. Fall is in full swing now. 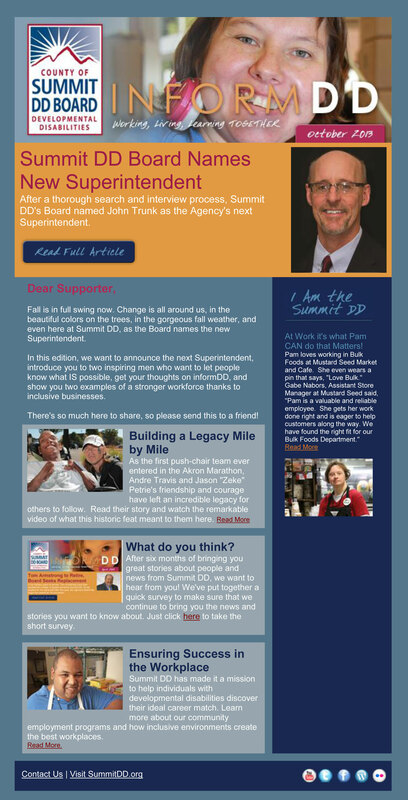 Change is all around us, in the beautiful colors on the trees, in the gorgeous fall weather, and even here at Summit DD, as the Board names the new Superintendent. In this edition, we want to announce the next Superintendent, introduce you to two inspiring men who want to let people know what IS possible, get your thoughts on informDD, and show you two examples of a stronger workforce thanks to inclusive businesses. There’s so much here to share, so please send this to a friend!